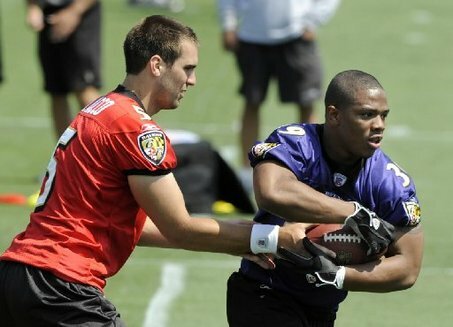 Contracts negotiations for Flacco and Rice appear to have the team handcuffed in Free Agency at the moment. Ravens Owner Steve Bisciotti feels an urgency to re-sign quarterback Joe Flacco and running back Ray Rice to long-term contracts. It’s not because they won’t be in purple and black next season but rather their high cap numbers mean that the Ravens can do very little in Free Agency to replace several players that they’ve lost to other clubs. After signing four free agents on Friday, the Ravens are reportedly up against the salary cap. Bisciotti said they would like the flexibility to sign free agents after more cuts are made, as they have in years past. The Ravens and Flacco and Rice’s agents have reportedly been in contact throughout the offseason. Reports are that those meetings have gone well and that they are making progress. This sounds great but until the deals are completed Baltimore will be able to do very little to upgrade the roster at the moment. 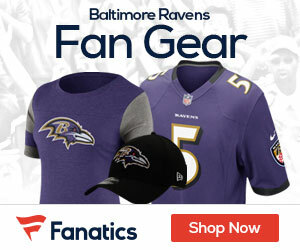 This shouldn’t be that much of a surprise to fans who over the past weeks have seen five former Ravens leave and several other potential additions go to other clubs like Evan Mathis and Ted Ginn Jr.
For now the team appears to be in a holding pattern until the draft and the hope is that one or both of these top offensive players can get signed to a long-term deal so the team can address other needs. Until then all we can do is wait.